Randy's Group 4 for sale again, probably the same guy that bought it here in the US and shipped it overseas, but is now selling. Real nice car, I almost bought it here in CA but da wife gave me "that look" and I have not recovered since. What did it sell for in the US? Nice car except for the red/orange interior. Ha yes, it seems the new owner changed the interior . I don't get into exactly what owners sell/buy their cars for as that is their business, but it is always a good day anytime you can get a car for lower than all the $100K+ put into it. This is car #2472. The Registry shows the interior better. I think the Euro-photo does not show the color correctly. That could be right about the color not showing correctly, although he says it is red. He had door shots too, but now removed, which really looked red. He did change the seats, stearing wheel, guage pannel (although it seems he removed the seats photo too). I have tons of photos on that car if anyone is interested, and in the next PI as well. Below is the tan/peanut butter color it origianally had before sale. What is the asking price for this car? It was listed as $75000 GBP, but then now that is removed, so it seems what ever your offer is . A very nice build on that car, however the engine could have used a little more umph in my opinion. One of my favorate photos below when we were cruising in "da hood". Well this is my car here in the UK and yes I bought this off Randy and very glad I did as the car is just superb in every way. 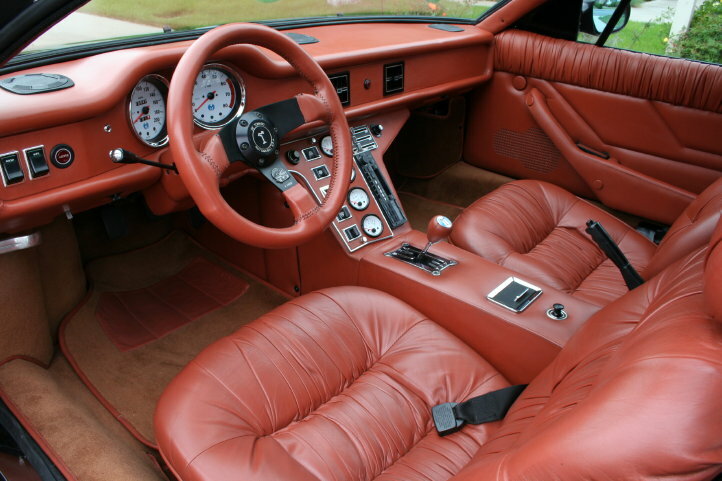 Interior is now dark red/burgundy and looks perfect my prefered colour guys if thats ok. Car has also had fully adjustable Leda suspension fitted on all 4 corners at big money. I had no intention of selling this car so soon as its taken me years to find a good one but when the banks call in your loans and your in for hundreds of thousands of dollars then its a no brainer just to put all the forum right thanks Johno. Hey Johno, sorry to hear about the finances. I can't agree more, the build on your car is very good. As I remember looking under the car (just under the rockers) and talking to Steve, I believe they reinforced that area very nicely in attempts to make the car stiffer when it was built. I was sad to see it leave the US, but that is where all offers were coming from. Someone buying our car will get a nice Group 4 conversion. Thanks Does its just one of those situations that happen in life its a world wide situation present and down to property here as well although if I can find a way out I will be keeping this car for sure its a last resort. I paid big bucks for this off Randy and to top it off I had a further 27% UK import duties so the thought of a US buyer taking this is going to be small, but you never know!!. Had dozens of enquiries in Europe so theres plenty coming in just no where near what I want for her present. I'm confused. Is this the same car I saw in Monterey a few years ago? It had an all carbon fiber interior. Mark over here in Switzerland. 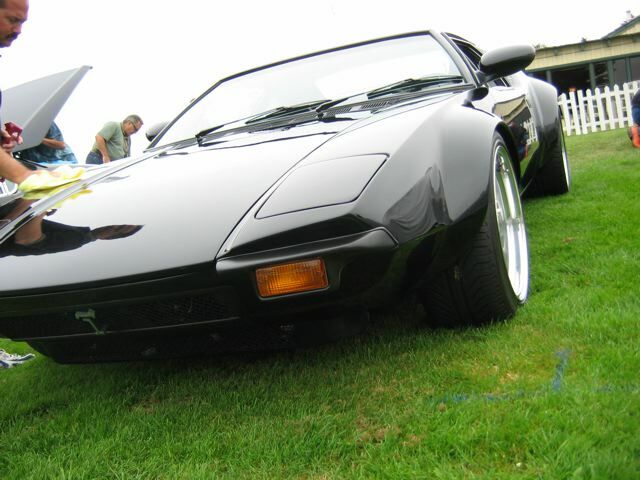 Group 4's are my favorite - and not just because wildpantera.com convinced me the all the hotties like em too! I've successfully imported an Original GTS American to Switzerland from my home state of California (I was homesick something awful) and can tell you that it's not always easy to matriculate the cars in Europe - especially if they've been modified in braking or suspension. I would have picked up the Black Group 4 for sale in Tustin a few months back were it not for that. PanteraUK, were you able to get this bad boy officially registered? Do you have a historical or veteran registration for older vehicles like we do down here? Forgive my ignorance on UK stuff, but if it passed in England, it may make for a better candidate to import. What is the price now? Being that Switzerland is never going to join the EU, I'll have to pay those hefty taxes you did, but drop me an email anyway. She's beautiful. David, the photos you show of the black Group 4 was Glen's car from up north in CA, then went to Pat for a bit then sold again (PI motorsports sold the car a while back, plates 72GRUP4). 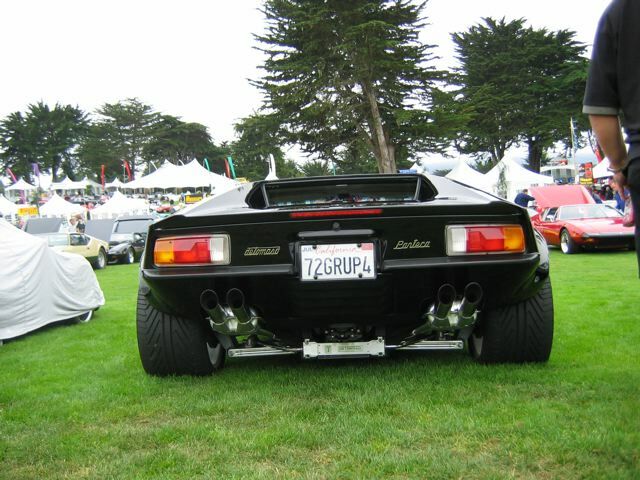 I went to see the 72GRUP4 car and that one was an exceptional car! I am not sure where that one ended up after sale, but I think it went overseas too. I tried to offer just under $80K but that didn't do the deal. 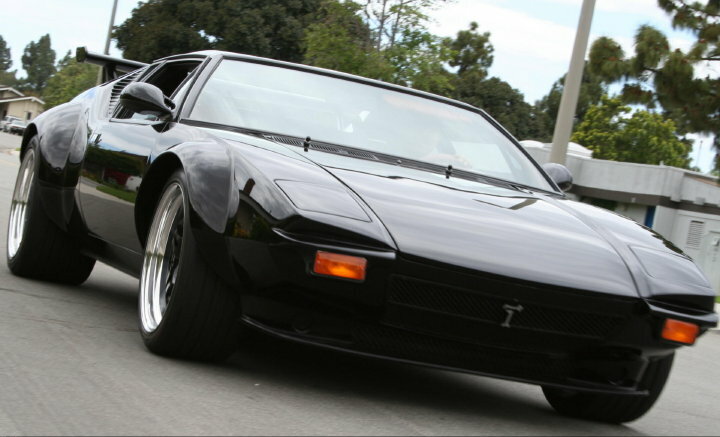 Nice 427 in it too, so that one had some real power, and nice carbon fiber interior too. 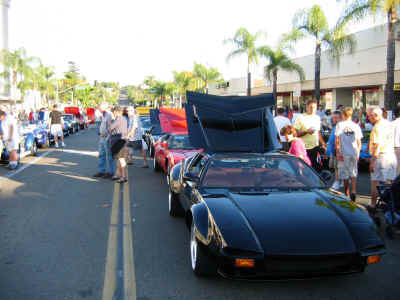 The one we are talking about in this post is a different car that was in Temecula with Steve (plates "WINGCAT") and then in OC with Randy, now with Johno. Mark car is fully registered in my name here in the UK on a nice private number plate 908 BHP no problems very straight forward and is classed as a historic vehicle so theres no road tax each year due to that which is just excellent. Have the car on the Evil bay at present here just to get the word out its for sale priced at 75K UK sterling with offers obviously, had a few offers from France and Belgium no where near though, regards Johno. Thanks DOES. Yeah... Glenn. I am less confused now. Well just to bring everyone up to speed I have put this up for 70000 Euros as the Euro is just about parity with the UK pound anyway plus all the interest is as expected from Europe. Tried E bay but thats a joke other than having a world wide viewing format its full of fraudsters trying to scam just about anything this been no exception. Anyway to all on the forum have a great Christmas over there, will see how the new year goes might get lucky!! John ( Panterauk). What's the estimated cost to ship back to USA...? Well it cost me approx £1300 UK to ship plus all the hefty taxes here, dont know how this would work to return back to the US?. Obviously why all the offers are coming from within Europe and the EEC thanks John. I may be wrong...but, I think the shipping only equates to $2,300 in US funds to ship back to the USA. Not bad if you ask me! The real question would be the import taxes...if anyone else has any input to this cost...please chime in! This was a US car shipped out of Country, I cannot for the life of me see why import duties to get it back into the US would be warranted. It may involve some chasing around, i.e. VIN # prior history, State registered etc. to show it was a US delivered car. Well I have all the original US California title details from Randy the last owner which I copied before registration here for the history file of the car. I dont know if this is any good but it shows all the details including its original plates which I have also. I do know interest is coming in from Europe since I put it back on E bay in the UK in the last few days so at least its good for getting the word out as its a cheap way of world wide advertising. I have two guys who want to view in the next three weeks so thats a start I guess one from France and the other Germany, we will see. "happy new year to all anyway" Panterauk. Import taxes into the US usually run about 3%. If it were a truck it would be 25%. 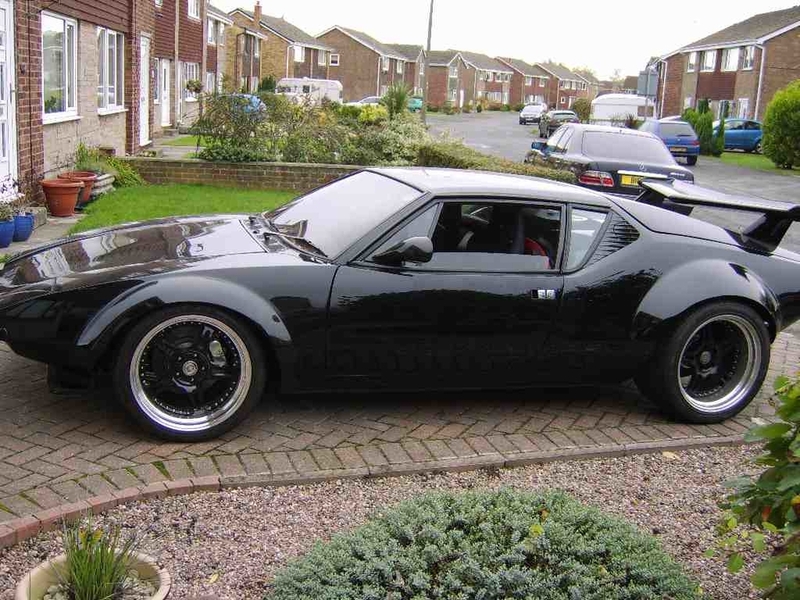 Great news for me, back in major credit just as I thought there was little chance so the Pantera's staying here with me now so for every one consider this car not for sale. Congratulations on keeping your Cat! Can you also hustle up some funds for the U.S. Government? Great to hear that you can hold on to that beautiful Cat. I'm sure you'll never regret it!